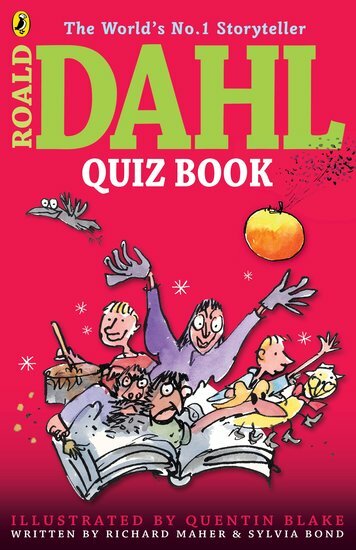 Test your Dahl knowledge with over 300 Dahl-licious quizzes illustrated by Quentin Blake! Are your boggling brains simply sizzling with rambunctious Roald Dahl knowledge? Do you know your gobblefunk? Where can whangdoodles can be found? Why did Mr Hoppy want to be a tortoise? What’s Matilda doing with that tube of glue? Who was described as a grizzly old grunion? And why might a frobscottle make you whizzpop? Stuffed with fiendish quiz questions from all the brilliant novels, this book will test the piddling brains of even dedicated Dahl fans. No childer should be without it!